I have never liked salads. But throw greens and some berries into a blender in order to reap the health benefits? Now you’re talking. I try to like salads – I order them frequently when I am in restaurants, especially when in the company of other women. It seems like the right thing to do. But I rarely enjoy them, and almost never make them for myself at home – way too much chopping and dicing for my taste, and my children will recoil in disgust anyway. This doesn’t sway me, however, from regularly buying bags of prepared greens at the grocery store, only to throw their wilted contents away the next week. Because I want to be a salad eater, I really do: it’s hip, it’s healthy, we all need to eat more vegetables; my intentions are pure. But when the chips are down, and my stomach is rumbling, I can’t be bothered. I am, however, a devotee of smoothies. These concoctions can be thrown together in mere minutes, and if I’m in a hurry I pour it in a to go cup and take it with me. My children love them and can even make them for themselves, they’re a perfect after school snack. I have perfected my own homemade version of the Starbucks Vivanno: skim milk, a frozen banana, a tablespoon of cocoa and some protein powder. My children prefer smoothies made from berries. I’m even happy to customize them for each child, if one likes blueberries while the other prefers strawberries. All it takes is a quick rinse of the blender. This makes them over the moon, since I refuse to do this for meals; doing so would render me a short order cook. But my smoothie repertoire has become stale, I’m getting sick of the same old thing. And although healthy, smoothies don’t up my vegetable quota for the day. The few raw carrots I throw into my mouth don’t amount to a full serving, thus leaving me a few celery sticks short of fulfilling my recommended daily requirements from Canada’s Food Guide. A friend made me a kale smoothie the other day. That’s right, kale. I don’t know about you, but I have tried to cook with kale, much to the chagrin of my children, and it didn’t turn out so well. 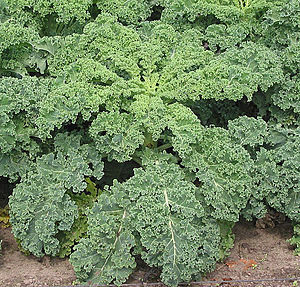 Yet I read about the incredible health benefits of this food – it is the veritable superman of vegetables, rich in calcium, lutein, iron, and Vitamins A, C, and K.; it has seven times the beta-carotene of broccoli and ten times more lutein. Knowing this, I figured I should at least give it a shot. The smoothie she passed me was dark green in color, and frankly looked like liquid grass, so I was dubious. But it tasted fantastic. In fact, it tasted like goodness itself, and I could practically hear the cells of my body crying out a collective, “thanks, we needed that!” as I drank it. The Happiness Project – one cynic’s review Be wary: It’s Cyber Monday.